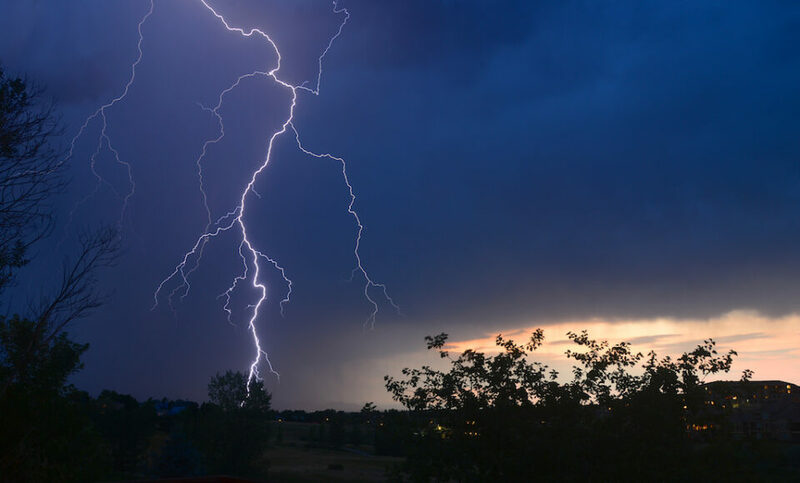 We’ve all seen the high speed photography shots of bullets piercing objects, water droplets or lightning strikes but maybe aside from lightning strikes, not all of us have had the opportunity to take photos like that. Many of us only get to admire other photographer’s work when it comes to ultra fast action shots like these. 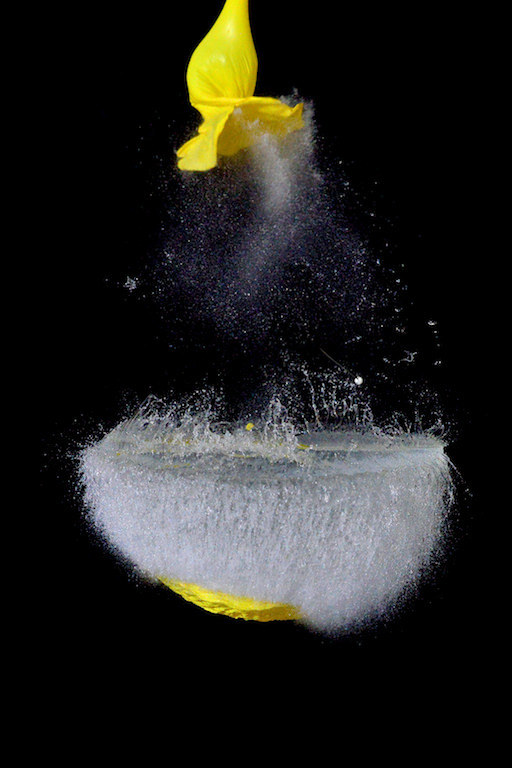 I recently got a chance to play with a multifunctional trigger that makes high speed photography easier and fun but also does more than just help with high speed photography. 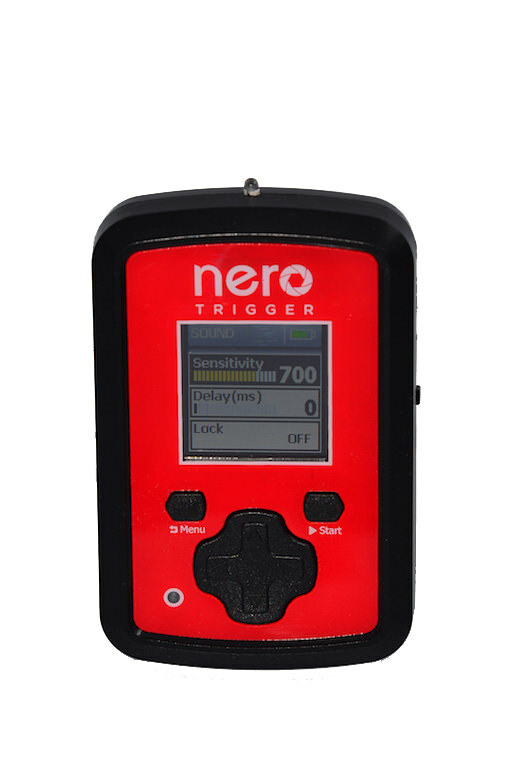 In this review of the Nero Trigger, we will look at some of its modes and how it performs. UPDATE: Nero Trigger is now MIOPS! The trigger, also covered by a 2 year manufacturer’s warranty, comes neatly packaged in a box with custom fit foam around the trigger giving it excellent protection during shipping which, by the way, is free! The company has shipped mine via DHL and I received it in just a few days. A small, concise, but clear user manual is included and can also be downloaded in pdf format from the company website. The Nero Trigger is small, approximately 3 and 3/4 inches tall by 2 and 3/8 inches wide by 7/8 inches thick (minus the hot shoe adapter, 1 and 1/4″ thick if you count the hot shoe adapter), so it won’t take up much room in your bag. You will want to keep this thing handy because you never know when you might have an opportunity to photograph a beautiful storm front rolling through or make a time-lapse of a spectacular sunset. 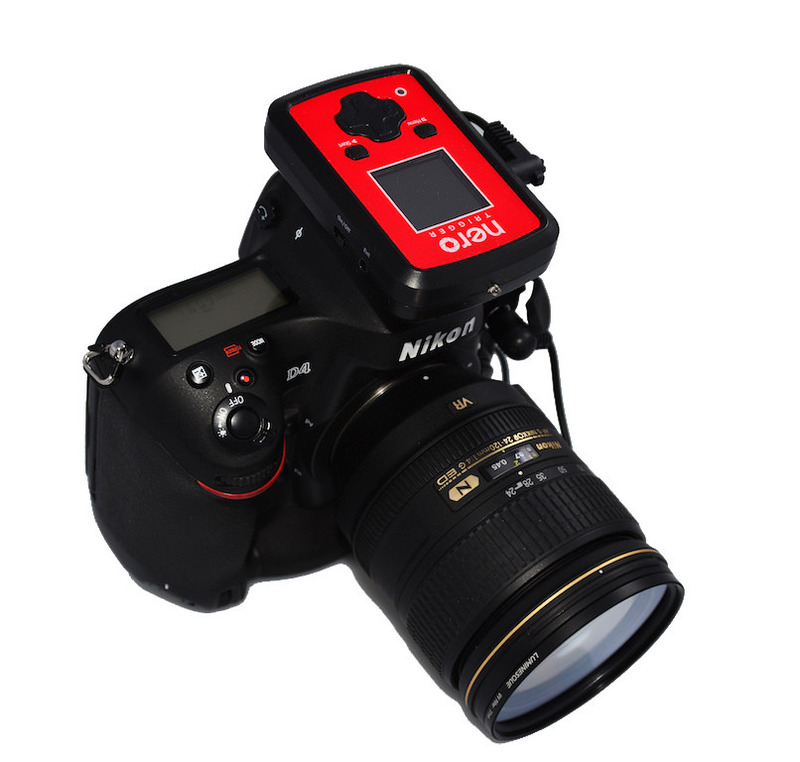 Of course to use the device, you will need a cable to match your camera and one of the great things about the Nero trigger is that it is compatible with most major camera brands including Nikon, Canon, Sony, Olympus and Pentax. Just order the cable you need specific to your camera and, if you have multiple cameras or if you buy new equipment, you only need to order the appropriate cable. It comes with one free cable and additional cables currently cost around $20 each. The trigger is made out of plastic with a color LCD screen that makes programming the trigger a no-brainer and visually easy to confirm. There are 3 ports on the side of the trigger as well as a on/off switch. 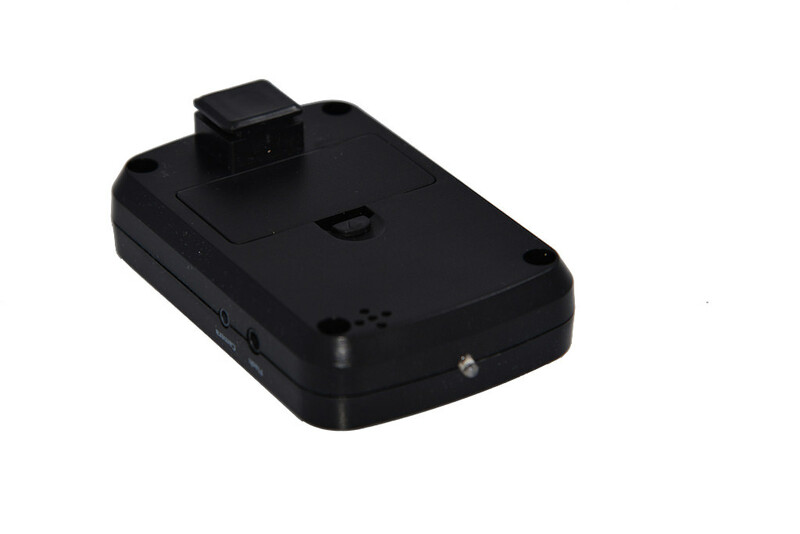 The ports allow connections to a) a camera, b) a flash and c) external devices to use with the Do it Yourself mode. On the back there is the battery access panel and a hot shoe dummy connection that has no function other than convenience. One thing that I might note here is that I wish the hot shoe connection had a knurled nut to tighten and loosen the foot for attachment and removal. As it stands, it just slips in and out by tension and mine is a bit tight and it worries me that I may inadvertently break it trying to remove from the camera. The front panel comes in a choice of 6 different colors with a thin plastic sheet covering the device and the LCD. The plastic cover did seem to scratch easily. It does not affects performance, but is rather just a cosmetic blemish. In addition to the LCD screen is a Menu button, a Start button, a LED indicator and a 4-way controller used for programming. What sets this trigger apart from many triggers on the market is that it beats its rivals in terms of features, bus is priced similarly. Most of the triggers you can find that cost similar amount of money only offer light (lightning) or sound activation. 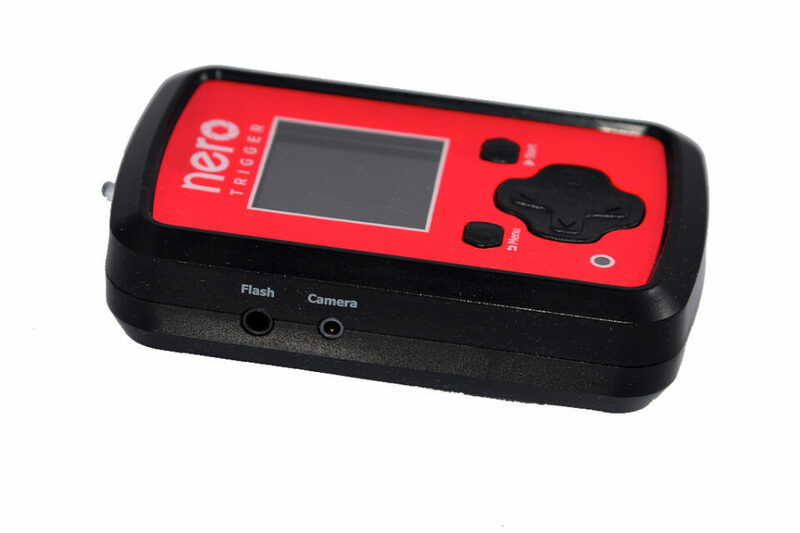 The Nero Trigger has multiple operating modes – it can be activated by light, sound, laser and a timer for time-lapse photography. There is also a HDR mode for multiple exposures as well as what the manufacturer refers to as a DIY (Do It Yourself) mode. The DIY mode allows you to set up any trigger that you can conceive and configure, giving you even more flexibility based upon your creativity and know-how. The first thing you notice on this trigger is the absence of the usual knobs or switches to adjust sensitivity. This one is very user friendly in that it has a color LCD screen to enter modes and settings, such as delay or sensitivity. The very useful battery indicator is also shown by the LCD screen. When using the trigger in Time-lapse mode, you want to make sure that your battery has enough life left in it before you start. The unit has a power saving mode that conserves battery life and it works quite well. It is powered by two AAA batteries (which are included in the original package) and my experience has been that the batteries have lasted for a long time. I know that “a long time” is not scientific, but I have captured multiple sunrise and sunset time-lapses, used it for lightning shots and balloon bursts. Even after such extensive usage the battery indicator still shows 2/3 life left. Lets take a look at a few of the modes. The Lightning, Sound and Time-lapse modes are the ones I had the chance to use the most, but I’ve had enough experience with Nero Trigger to give you a short overview of all the available modes. 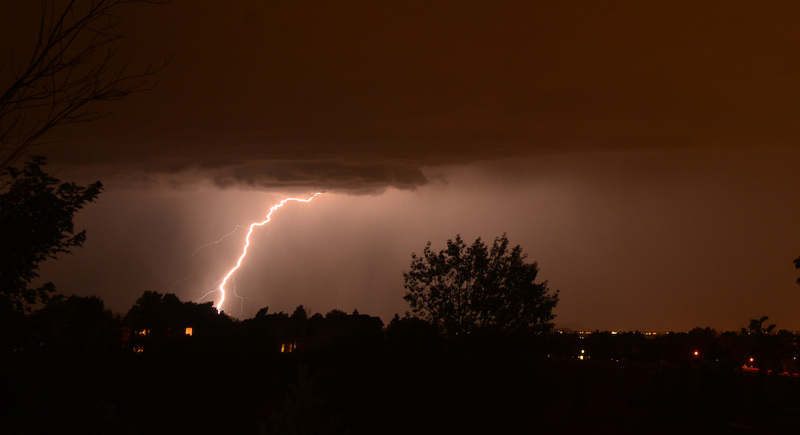 The lightning mode triggers the camera based on light flash such as that of lightning or fireworks and is very straight-forward and simple to program. All you need to do is select the mode and then adjust the sensitivity low enough to eliminate false triggers but high enough to pick up the lightning itself. 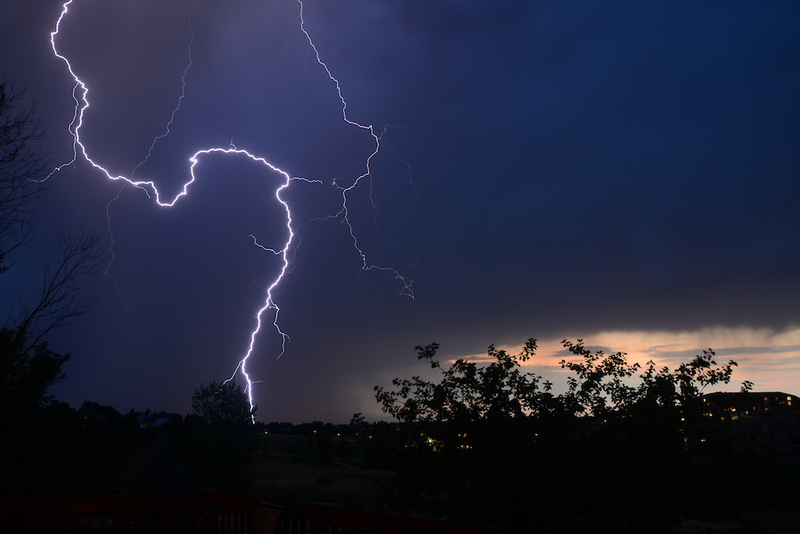 A day or two after receiving the Nero Trigger, we had a storm roll in and I was able to capture these shots from my back deck. The trigger is so intuitive and easy to program, that I had it up and running in no time and these were some of the first shots taken with it. I look forward to getting more scenic shots in the future with the trigger. The sound mode triggers the shutter or the flash based on sounds, such as a pop, a gunshot, broken glass or any sound you can think of and it is just as easy to use and program as the lightning mode is. You select the mode, then adjust the sensitivity for the sound level as well as any delay if needed. There is a lock to prevent it from firing more than one time, if desired. Time-lapse is a handy mode if your camera doesn’t have a built in intervalometer for taking sequential photos to make a video or multiple exposure single frame shot. You select the Time-lapse mode as usual, then select the interval or how often you want the camera to snap a photo, followed by setting the exposure length. Leave it at zero if you want the camera to set the shutter speed. Finally, set the number of shots desired from 1-9999 or no limit. One feature that I wish it had was a delay setting to start the shooting at a specific time or after a predetermined amount of delay. Below is a link to my first ever attempt at time-lapse and the trigger worked as designed. While the video isn’t as smooth as it could be and suffers from flicker issues, those problems are related more to the camera settings and the post editing software and not the trigger itself. The laser mode allows you to trigger the shutter by aligning a laser with the sensor. If anything breaks the beam, the shutter is triggered. To program it, you select the mode, then adjust the delay if needed. In the Laser mode you can set the number of frames taken when the beam is broken. This mode, just like the others, can be used to trigger the camera or flash to capture water droplets, bullets piercing objects or used as a wildlife trigger. While I did not set up any photos to illustrate this, I did align a laser with the sensor and it works as promised, anything that interrupts the beam will trigger the camera or flash depending on your settings. This mode allows you to bracket your shots to assemble an HDR photo. Some newer cameras have this ability built-in but if yours does not then this mode makes it simple. One handy feature is the ability to adjust the exposure in the trigger as opposed to in the camera. You set the trigger with the optimal exposure time that you desire and then set the exposure value adjustment level to adjust for the desired exposure bracketing (+ or – 1/3, 1/2, 1 or 2 stops) and then the total number of frames desired in the set. If the aforementioned modes aren’t enough, the folks at Nero Trigger have also given you some latitude to make up your own trigger by configuring a DIY mode and providing a cable specifically designed for you to incorporate your own triggering method/stimulus. You set a threshold that must be reached, then set the delay as needed and finally the direction of change in the stimulus. The Nero Trigger can be set to trigger with a rising event, a falling event or both. Types of sensors that might be used are touch sensors, pressure sensors, tilt sensors, temperature sensors, etc. This DIY mode is a bit more advanced and there are some warnings and instructions included in the manual. For instance, the voltage to the DIY port must be kept under a maximum of 3V, otherwise there is a risk of damaging your Nero Trigger. I really enjoyed using the Nero Trigger, it motivated me to think outside my usual subject matter, explore new possibilities and to try different types of photography that I hadn’t before. 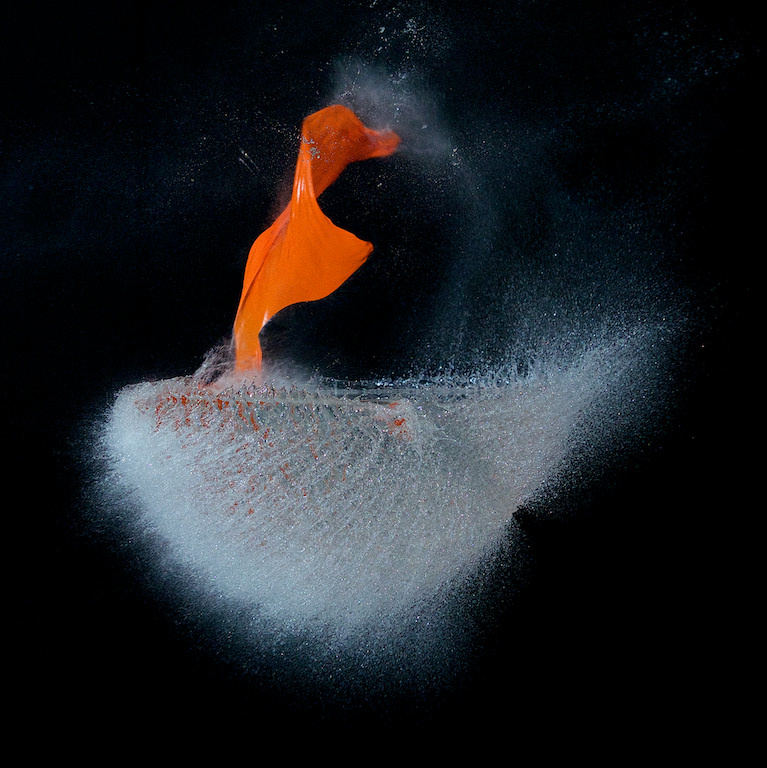 After using it, I find myself trying more time-lapse and looking forward to playing more with high speed photography. The challenging part of all this is designing the setup with which to make the image. Your creativity is the only real limiting factor to the types of shots that you can capture using the Nero Trigger. I can truly say that this is one accessory that is worth every penny and that I really had fun playing with. The Nero Trigger is available from B&H for $199, but you can also buy it direct from MIOPS.com for $199 (free shipping). Tom, interesting article on the Nero. Do you think this device could be used effectively for bird flight photography, freezing wing flap for example when a bird flies to and from a feeder or nest? If it can freeze a popping water balloon I would think it could freeze a bird wing, and wondered your opinion. Have you tried this yet? Alan, thank you, it can definitely be used in bird photography, although I have not used it as such, yet. Keep in mind, the trigger does not freeze the motion, that is shutter speed dependant, the trigger times the shutter actuation. Tom, thanks for the reply and the point you made about trigger timing shutter actuation only. I am thinking the laser mode would be very useful for capturing a bird flying to a feeder for example, and as it broke the beam the camera would fire and freeze the motion with a high shutter speed. And I was thinking what might make a good Xmas present. How do you align the laser? Is the laser inbuilt into the unit and you need a reflector similar to the ones on a shop door? Or is it BYO laser? Really thorough article. Looks like a lot of fun! Thank you Curious, you have to have your own laser, such as a laser pen/pointer and you manually align it. It is fun! I recently submitted a purchase request for the Nero Trigger using their Pay Pal method. When the payment was complete, it showed being paid to a “Seller’s Name: Onur Çelik”. I did a Google search and could not find any relationship between this person and the Nero Trigger. I thought my Pal Pal account may have been comprised, so I submitted a payment dispute. Turns out Onur Çelik is a co-founder of the product. So if anyone sees the same info as I did for the seller, it is legit. Bill, thank you for the information, the Nero Trigger is made in Turkey and so that sounds correct. Did you receive it, yet? If so, let us know how you like it. Thank you again! I do a lot of HDR images and have been thinking of purchasing the Promote Control device for more bracketing options. Do I understand the Nero Trigger will allow for numerous EV stops? My Nikon D700 provides for up to nine shots. Your thoughts? Can this be a poor man’s alternative to the expensive Promote Control device? Robert, the Nero Trigger only allows for 7 shots. Some lasers can easily ‘burn’ a digital sensor, so be careful when pointing a laser at/near your camera. I have seen it with both Canon and Fuji camera’s. I would think Nikon would be affected too. I did receive my nero trigger two days ago, ordered it last week, very fast shipment. Started to experiment using it with my D600. I made a setup in a dimmly lit corridor leading to a door with the intension to trigger it on the opening door which was makeing a substantial light change. It did not work very well. Setting the sensor to a high 90% sensitivity the trigger did release with no noticable light change. Setting it to 80% or lower it did not release at all. At 84-85 it did work some times, sometimes not, but not predictable. Any idea? I wonder how the software works. Does it consider the ambient light? Chris, they do ship fast. I am not sure how to answer your question, the first thing that comes to mind is how fast is the door opening, is it rapid or slower, it is possible, that the sensor picks up rapid change in light better than slower – but I do not know for sure. Chris, I touched base with the guys at Nero Trigger and they said, that the trigger will only respond to a rapid change in light, so that may indeed be the case. It is stealing copyrighted and protected technology from the Lightning Trigger by Stepping Stone Products of Dolores, CO. I have a real Lightning Trigger and it works great. I’ll contact Stepping Stone and alert them to the theft of his technology which, as I stated above, is patented and protected! You made the same claim on another website to which I asked for additional information and you have yet to respond. Where are you obtaining this information that Nero is guilty of patent / copyright infringement? There are other companies that make similar devices, are they also guilty of patent / copyright infringement? You seem to be in the know.. Please provide evidence. My first unit was defective. The jack to camera was broken. Replacement unit came today. 3 modes are fine but the sound mode will not fire the camera. Am I doing something wrong? Bill, I am sorry to hear that you have had some troubles with the Trigger. It’s hard to diagnose with the info given. I would double check all connections, make sure that you have ordered the correct cable to work with your camera model. I know that sounds simplistic, but I think we have all been there at one time or another when something was not working and later found out something basic was wrong. Check the sensitivity level on the unit. Make sure you are in the proper mode. I am sure you have tried all these but if nothing else works, maybe contact the manufacturer by email, maybe send photos of the set-up so they can see the connections and settings. If 3 settings are working, you probably have everything right, which is a bummer because it would be more convenient to find a simpler fix as opposed to returning the unit again. Good luck. 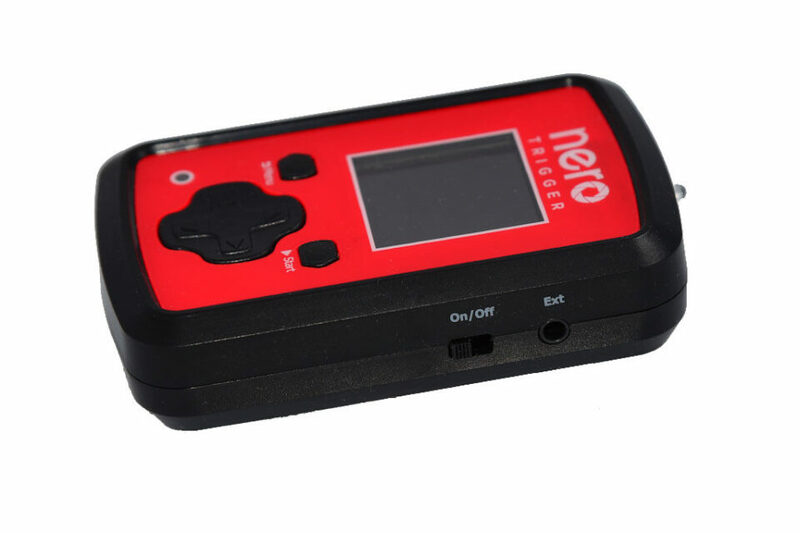 I have the Nerotrigger and can’t get it working , when I choose any of the options and push the start button all functions on the Nerotrigger is working , my camera is reacting , flash is reacting but it does not trigger any foto , what do I do wrong ? Patrick, if the trigger is working, the camera is “reacting” and the flash is firing, I am not sure what is going on. You might reach out to technical support at NeroTrigger. Hi There, I am hoping you can help me. I just received my eagerly awaited Nero Trigger, purchased after reading this review and seeing your photos (as I had contemplated the much cheaper SRB Photographic motion and lightning sensor). I wanted it to take some splash photos using the sound trigger setting however, I can’t get the trigger to function properly, at any sensitivity setting, to activate with the sound of the water droplet hitting the water. I have tried various sensitivity settings, but It acts erratically – either not triggering at all or constant triggering as well as triggering in bursts, even when there is no triggering sound. I am in a quiet environment and I even tested it with clapping and sometimes it will trigger if I clap far away from it but at the same setting I need to get right up beside the trigger to get it to go. It does not make any sense. Do you (or anyone else reading this) have any advice for me before I start trying to get support from the Turkish manufacturer? Elaine, I am sorry to hear of your troubles. I assume that you have the correct cable and camera settings, other than that, an email to the manufacturer would be my suggestion. 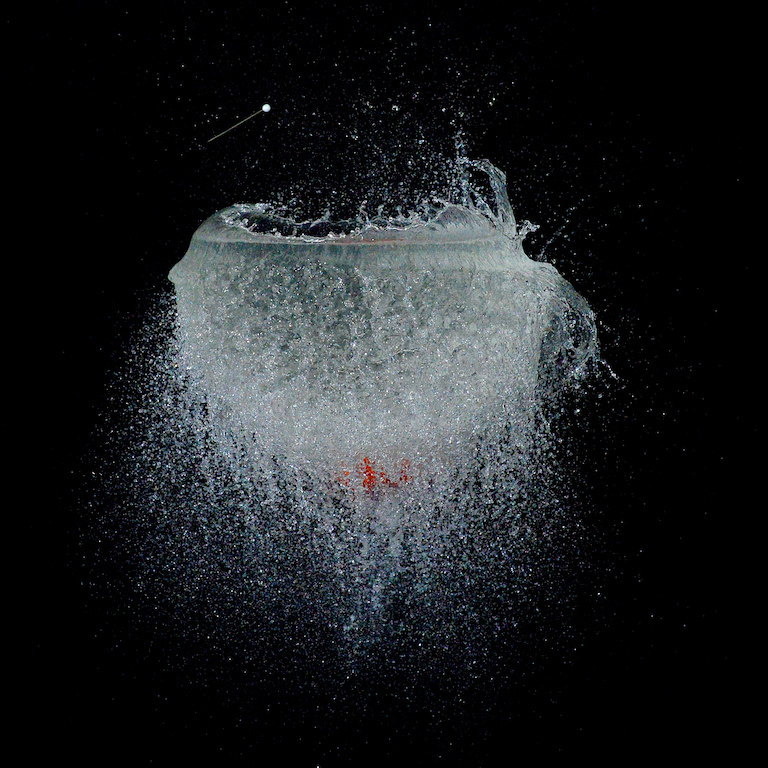 Being sound dependant – what shutter speed is the popping balloon set at? What kind of camera / model where you using? ThoroughbredSTL, the shutter speed is long – it doesn’t matter exactly how long since the photo is taken in a dark room and the trigger fires the flash which takes the photo. This is faster than your shutter speed, but I believe I used 5 seconds. The camera model doesn’t matter so much. I took some photos with a D40 and it worked as well as a D600. I just got my Nero trigger and I am delighted and amazed what I can do with it. I was wondering if there is a way to set it up so I can point my trigger and when it detects motion it will take a photo without having to break a laser beam? Glad you like it Elisabeth. As for your question, it’s possible, you would have to use the Do It Yourself mode and a motion detector. Your job would be to figure out the connection between the motion sensor and the NeroTrigger. I find the Nero Trigger excellent except for one complain. I would love it if you would be able to shoot more than 1 flash with it, will they consider adding multiple flash connections to the trigger?? Hello from Brisbane, Australia. I received my Nero trigger a couple of weeks ago, had my first go at trying to get some daytime lightning yesterday but unfortunately with no luck. It seems really simple but it would either continuously take photos or wouldn’t take a photo at all (even when lightning bolts were landing very closeby) is there something I’m missing? Hi Drew, I am sorry you are experiencing that and I’m not sure what to tell you other than to reach out to their support and they may be able to guide you. Good luck.